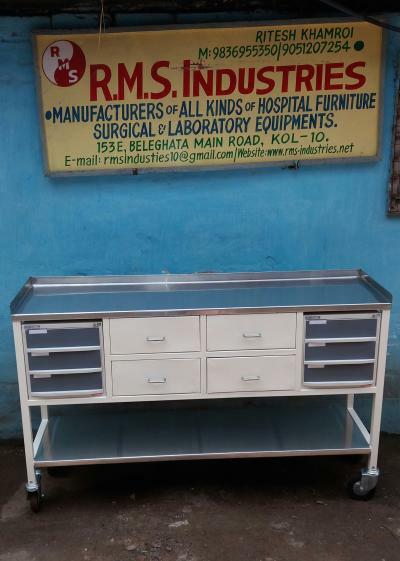 Frame made of heavy guage square tubes,with vertical and horizontal supports.Two Stainless steel shelves,top shelves with three side raised.Two ABS cabinet of six drawers at side and four M.S drawers at the center.Mounted on 5" castors with brakes.Powder coated finish. Size : 58" Length x 16" Width x 36" Height. Made of stainless steel also.